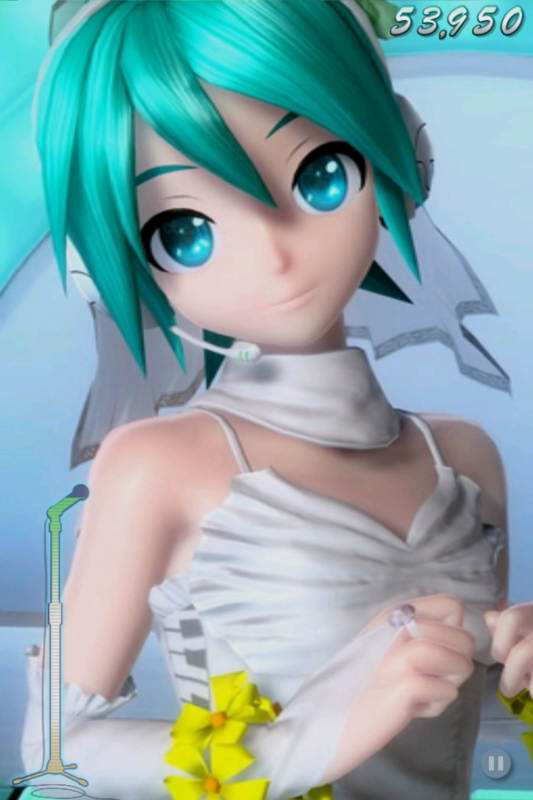 During my senior year in college, I spent almost an entire month obsessed with Project Diva on the PSP. I probably put about 40 hours into it before I’d finally beaten every song on hard difficulty with a high enough ranking to unlock every single unlockable character and costume, and that’s a level of devotion that deserves special recognition, probably in the form of a snug white jacket with long sleeves. I don’t carry my PSP around any more, and since Sony cracked down on being able to buy PSN points from overseas I’m unlikely to ever buy the sequel anyway. 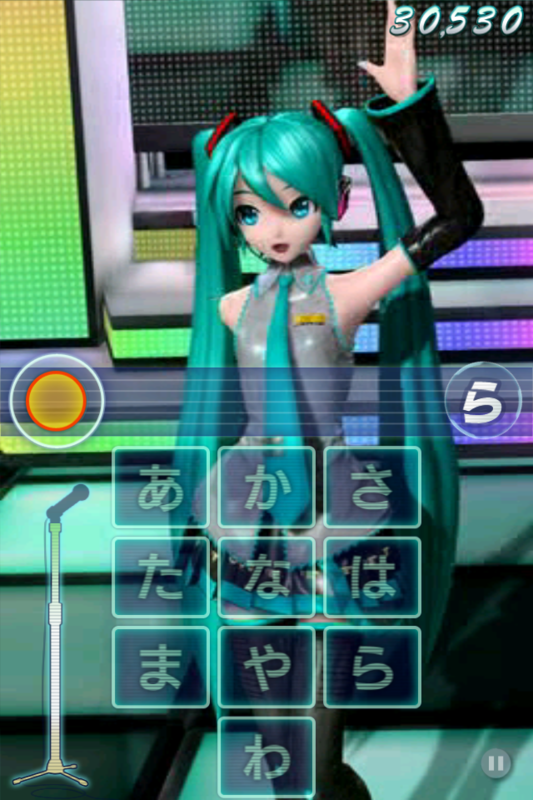 My Miku obsession was at an ebb. Sega, deciding that it needed to cater to the most niche of niche markets, released an English (mostly) version of the formerly Japan-only MikuFlick iOS game on the US App Store, for a mere $13.99. No, seriously, I’m not kidding there. Of course, I did buy it, so I guess they didn’t NEED to price it down, but it did sting a little. 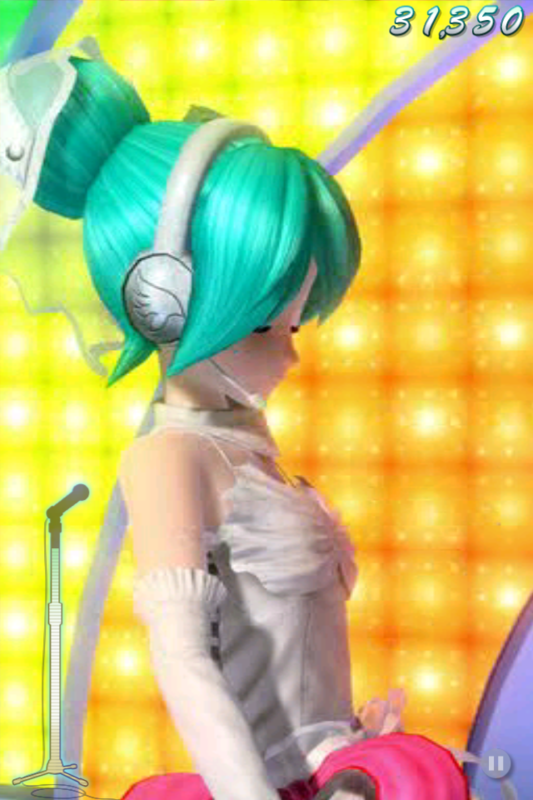 Anyway, the idea of MikuFlick is pretty much the same as Project Diva. 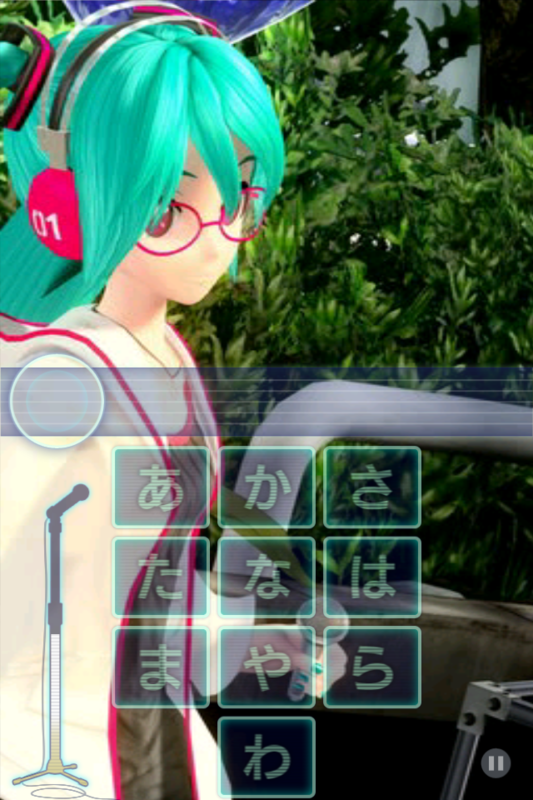 Miku sings and dances, you push buttons in time with the music, you ramp up to harder songs and difficulty levels as you get better. The videos aren’t done in real time like on the PSP game or in PS3 Dreamy Theater – they’re pre-rendered, so you get a set outfit per stage. It let them use the higher quality models from the Arcade/PS3 versions, I suppose. There’s just one little thing. There aren’t buttons on the iPhone, so they had to pick a different input strategy. That character grid there is a Japanese cell phone keyboard, and this is where I need to take a moment to explain a little bit about that. Text input on cell phones in Japan works like this: With button phones, you press, say, the か button once for か, twice for き, three times for くand so on. With touch screen phones, you press and release か for か, press and flick to the left for き, press and flick up for く and so on for the other vowel sounds. Get it? You can produce all 50-odd basic hiragana characters with 10 keys and a little dexterity. So it’s no big deal to, oh, put out a rhythm game where you are entering song lyrics via the keypad. On easy levels, it’s not such a difficult thing – you only have to enter one out of maybe every dozen syllables. On harder levels, it gets to the point where you’re trying to type entire words or phrases in real time, keeping time with the music while doing so, resulting in an overall effect something like the world’s most hyperactive 10-key test. This is made maybe just a little more difficult if you’re a westerner who has never really had to type Japanese using a cell phone keyboard. That said, I did get the hang of it eventually and it has proved to be fun and arguably just a little bit educational. 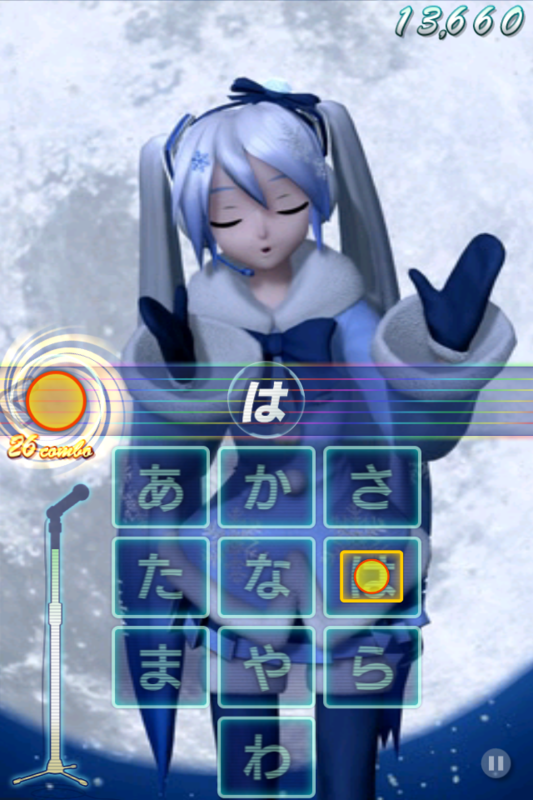 It also has two modes other than the full-kana mode I’m using above – you can have mixed romanization or full-on romanization if you don’t know kana well or at all, so it’s not completely out of the reach of people who don’t read Japanese or who want a really unusual way to learn the characters. My one complaint is, well, my two complaints are as follows. First, it is dreadfully short on songs. Once you’ve played through the dozen songs on offer, you get ending credits. After the ending credits, you get dropped right into the bonus song, which is of course The Disappearance of Hatsune Miku, on “Hard” difficulty level, which crushed my ego like an eggshell. …it unlocked for play on Easy and Normal levels. So, 13 songs in total. 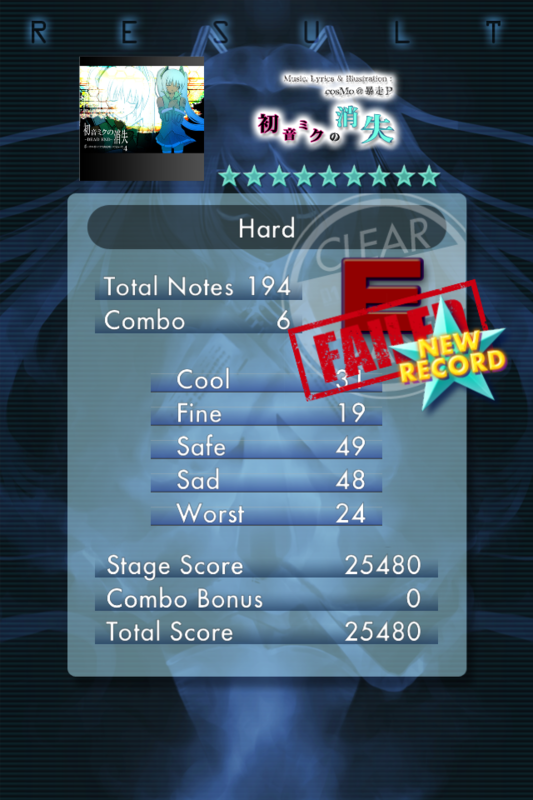 I immediately went back to it on Normal and got through it, which leads to my second complaint: The achievements have that thing going on where beating all the songs on “Normal” doesn’t give you the achievement for finishing them all on “Easy”, so I have several songs to go back and play on a lower difficulty level. 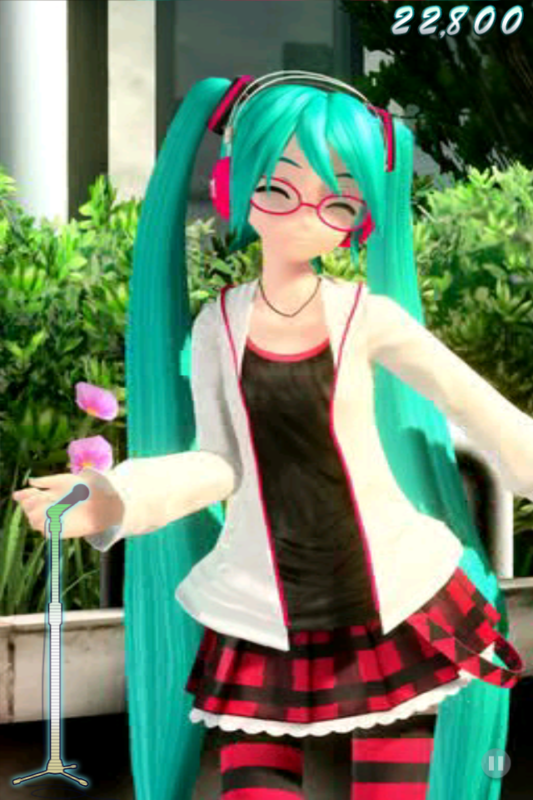 Oh, wait, I’m complaining about having to spend more time with Miku. I don’t know what I was thinking.